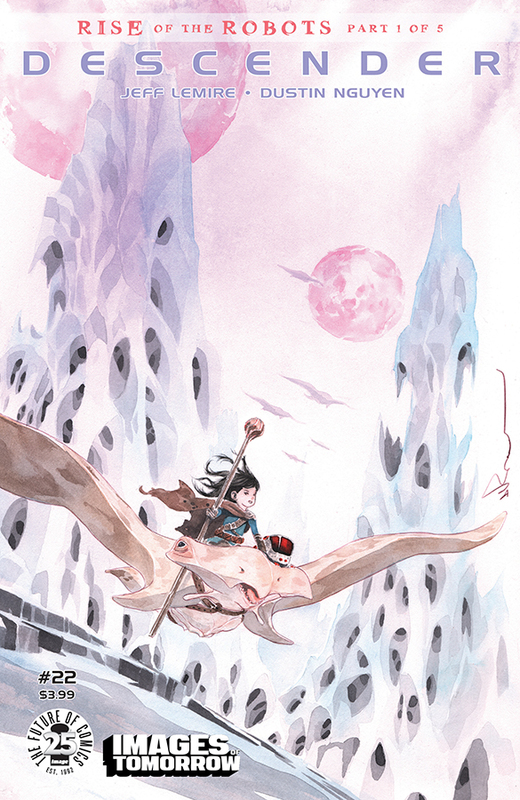 Here’s a recap of all the news from Image Comics from this past week. All information and pictures are courtesy of their press releases. 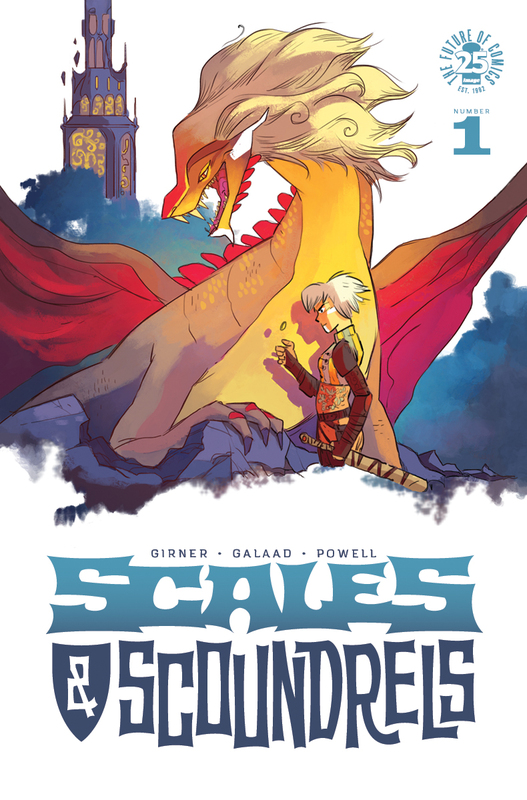 PORTLAND, OR, 06/12/2017 — Writer Sebastian Girner (SHIRTLESS BEAR-FIGHTER) and comics/storyboard artist Galaad team up with letterer/designer Jeff Powell for SCALES & SCOUNDRELS, a colorful fantasy tale for scoundrels of all ages this September. 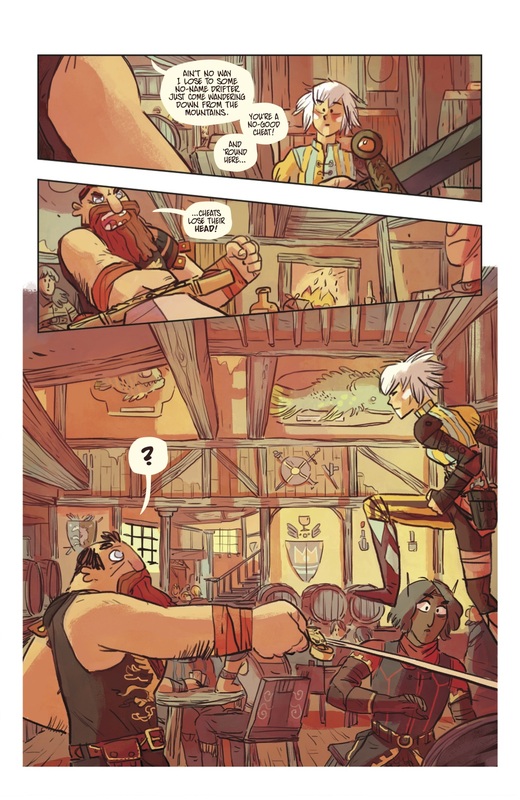 It’s hard to make an honest living in a land brimming with magic and mystery, and treasure hunter Luvander is tired of being a penniless adventurer. 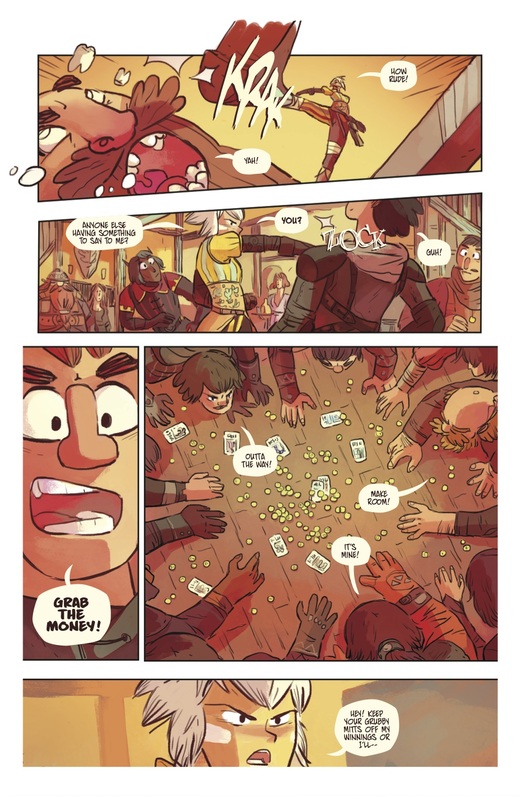 Ever in search of gold and glory, she sets off for a fabled dungeon, “the Dragon’s Maw,” an ancient labyrinth, at the bottom of which slumbers endless wealth…or certain doom! But what starts out as a road to riches becomes the first step on an epic journey of a much different kind—for Luvander holds a secret in her heart that will shatter the chains of fate and bring light to a world encroached upon by an ancient darkness. 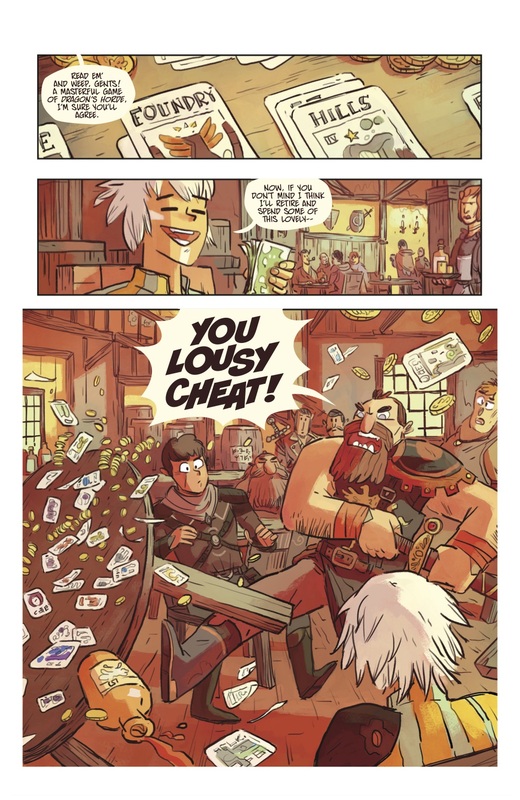 SCALES & SCOUNDRELS #1 arrives in comic book stores Wednesday, September 6th. 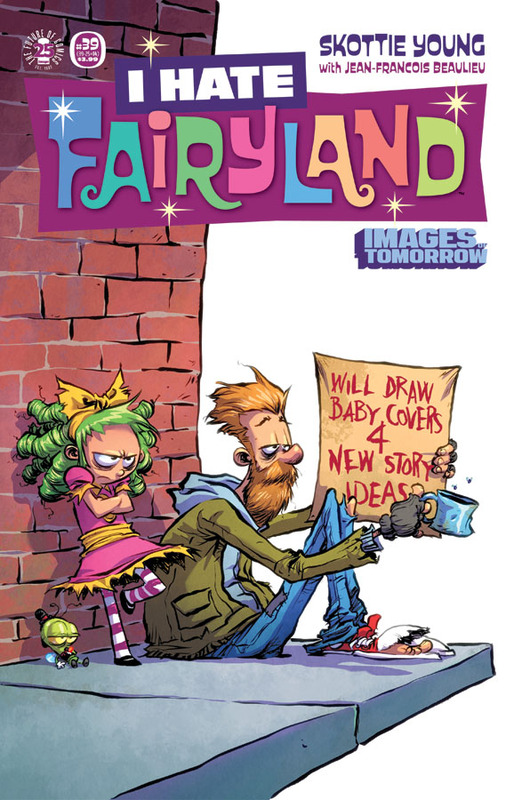 The final order cutoff deadline for comics retailers is Monday, August 14th. 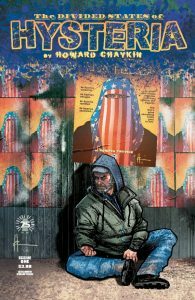 Image Comics announced today that due to the demand for issue #1 of THE DIVIDED STATES OF HYSTERIA, a second printing will be released. 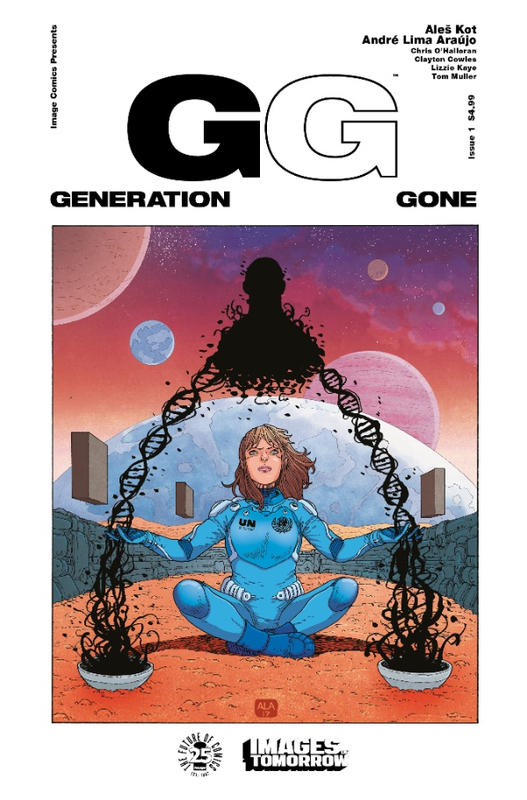 It is set for release on Wednesday July 12th, along with issue #2 (which is getting 2 covers). More information below as well as cover art for the second printing of issue #1 courtesy of their press release. 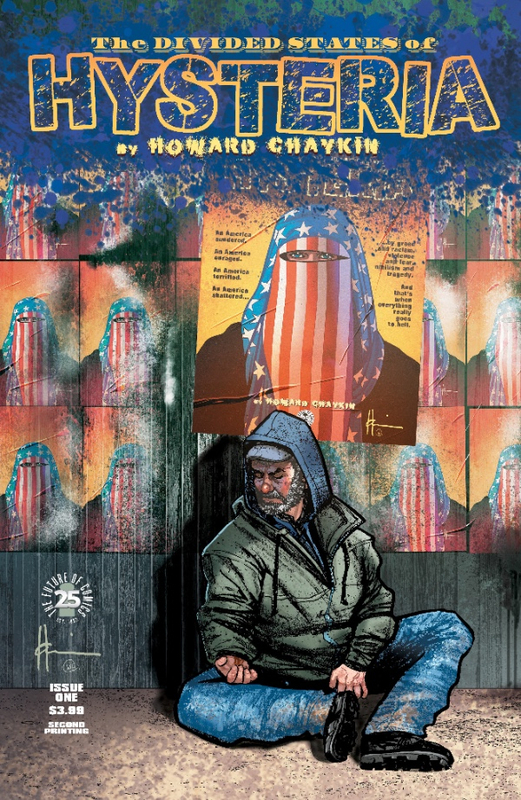 PORTLAND, OR, 06/13/2017 — Image Comics is pleased to announce that Howard Chaykin (AMERICAN FLAGG!, SATELLITE SAM) has turned the industry on its head once again with his latest, THE DIVIDED STATES OF HYSTERIA. 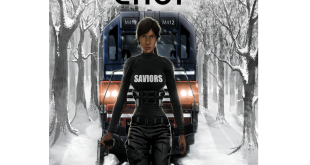 The first issue of this searing dystopian story will be rushed back to print to keep up with overwhelming demand. 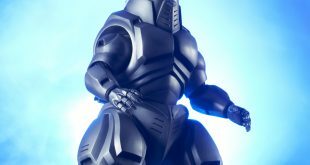 “A fictional dystopia selling out in the midst of a real life slow motion societal collapse—how much more thrilled and grateful could I possibly be at this?” said Chaykin. In THE DIVIDED STATES OF HYSTERIA, an imminent terrorist attack threatens to destabilize an already deeply troubled America barely beginning to recover from a profound national trauma that has shattered the nation. THE DIVIDED STATES OF HYSTERIA #1, 2nd printing (Diamond Code MAY178007), THE DIVIDED STATES OF HYSTERIA #2, Cover A (Diamond Code MAY170679), and THE DIVIDED STATES OF HYSTERIA #2, Cover B “Images of Tomorrow” (Diamond Code APR178246) will be available on Wednesday, July 12th. 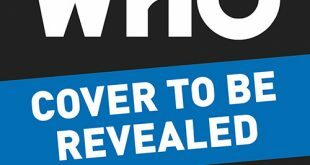 After 25 years of ushering in waves of bestselling, award winning, and groundbreaking comics, these variants will celebrate the longevity of Image Comics’ series with covers speculating possible future events in their storylines. PORTLAND, OR, 06/15/2017 — Image Comics is pleased to announce that the first issue of REGRESSION, from writer Cullen Bunn, artist Danny Luckert, and colorist/letterer Marie Enger, has been fast-tracked to a third printing in order to keep up with overwhelming customer demand. In REGRESSION, nightmares bleed into the waking world with astonishing ease. Adrian is a young man plagued by these waking nightmares, and when he turns to unorthodox means for a cure, he descends into a world of occult conspiracy, mystery, reincarnation, and insanity from which there is no escape. REGRESSION #1 will remain available for purchase across all digital platforms, including the Image Comics website (imagecomics.com), the official Image Comics iOS app, Comixology’s website (comixology.com), iOS, Android, and Google Play. REGRESSION #1, 3rd printing (Diamond code: MAY178159) and REGRESSION #3 (Diamond code: MAY170704) will be available on Wednesday, July 12th. The final order cutoff deadline for comics retailers is Monday, June 19th. 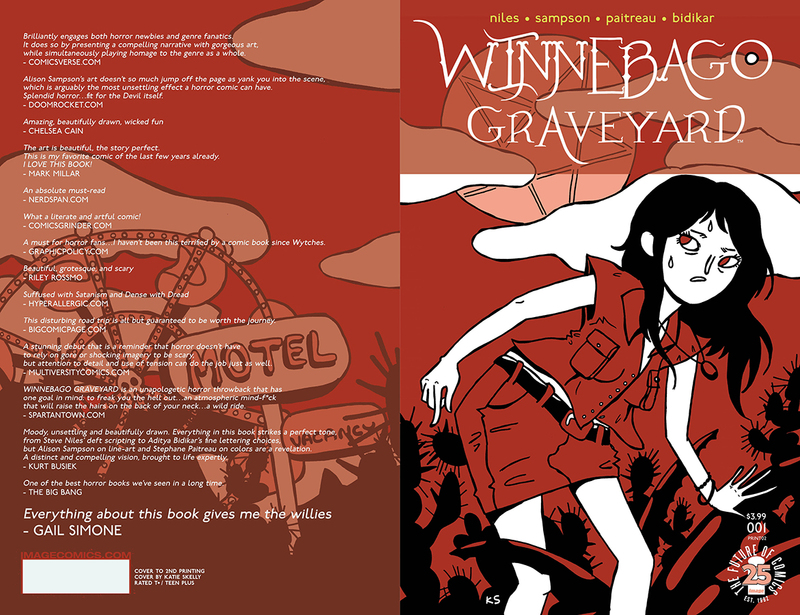 PORTLAND, OR, 06/16/2017 — Image Comics is pleased to announce that WINNEBAGO GRAVEYARD by Steve Niles and Alison Sampson will be sent back to print in order to keep up with the increasing level of customer demand. 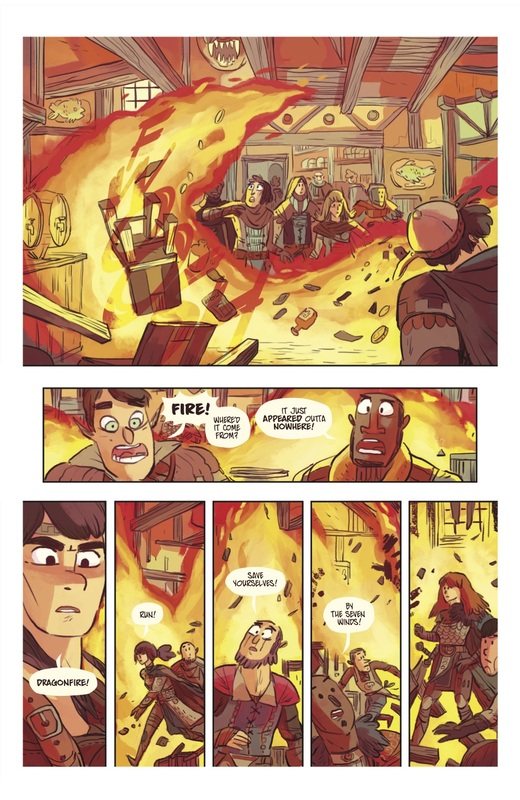 The second printing will feature a wrap-around cover with artwork by Katie Skelly.In WINNEBAGO GRAVEYARD, an American family traveling on vacation finds themselves stranded in a small town with a sinister secret. 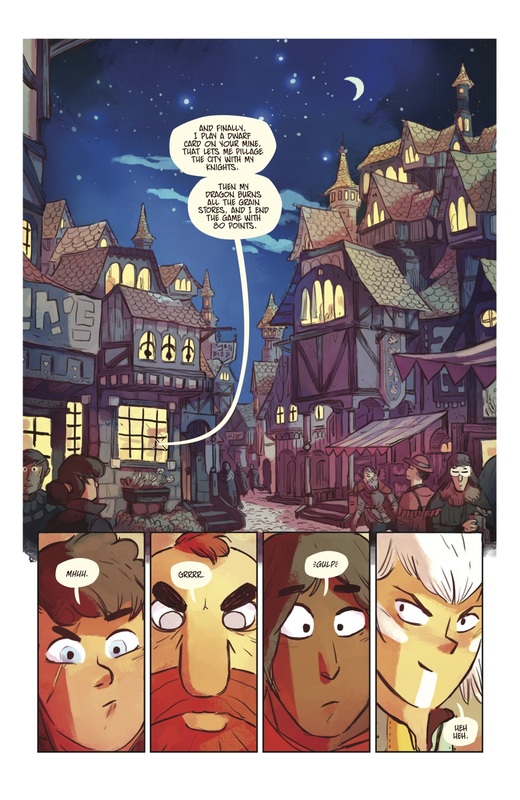 The series promises to take readers on a plot-twisting road trip filled with mystery and intrigue as they encounter creepy fairgrounds, nefarious characters, seedy conspiracies, towns full of satanists, and a teenager. What else could possibly go wrong? WINNEBAGO GRAVEYARD #1, 2nd printing (Diamond Code MAY178160) and WINNEBAGO GRAVEYARD #2 Cover A Sampson (Diamond Code MAY170741) and WINNEBAGO GRAVEYARD #2 Cover B Rubin (Diamond Code MAY170742) hit stores on Wednesday, July 19th. The final order cutoff deadline for comics retailers is Monday, June 26th. Winged monkeys! Techno-dolphins! Quantum alleycats! In ANGELIC, humanity’s long gone. Its memory lingers only as misunderstood rituals among mankind’s leftovers: the genetically modified animals they used and abused for eons. 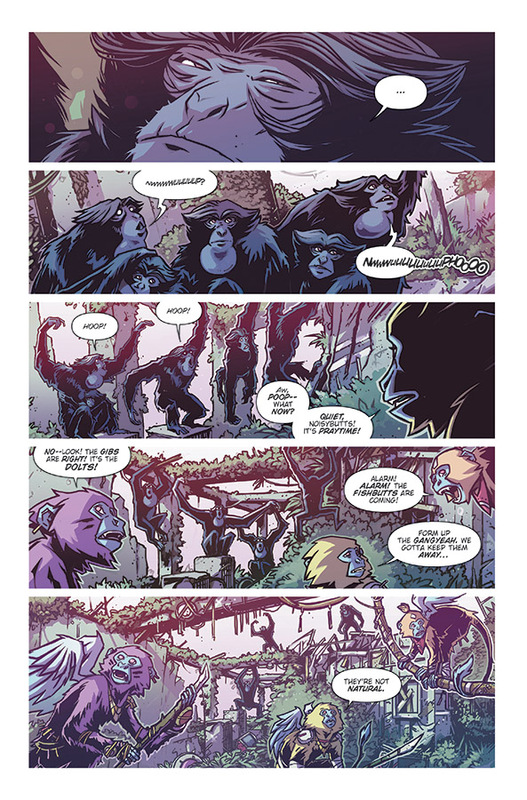 But for one young flying monkey, QORA, the routines are unbearable. All she wants is to explore. Instead she’s expected to settle down, to become a mother…to lose her wings. 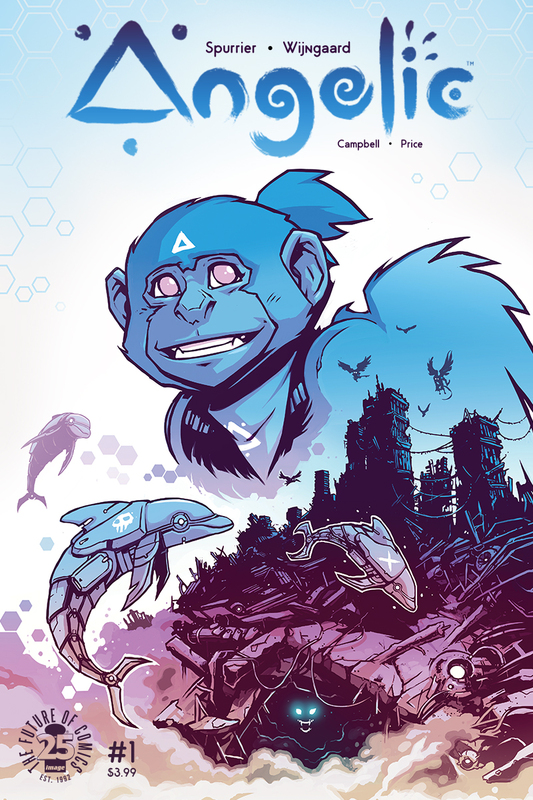 ANGELIC is a story of teenage rebellion and animal antics amidst the ruins of civilization, promising to be WALL-E by way of Watership Down. ANGELIC #1 (Diamond Code JUL170699) will hit stores on Wednesday, September 20th. The final order cutoff deadline for retailers is Monday, August 28th. Image Comics is a comic book and graphic novel publisher founded in 1992 by a collective of bestselling artists. 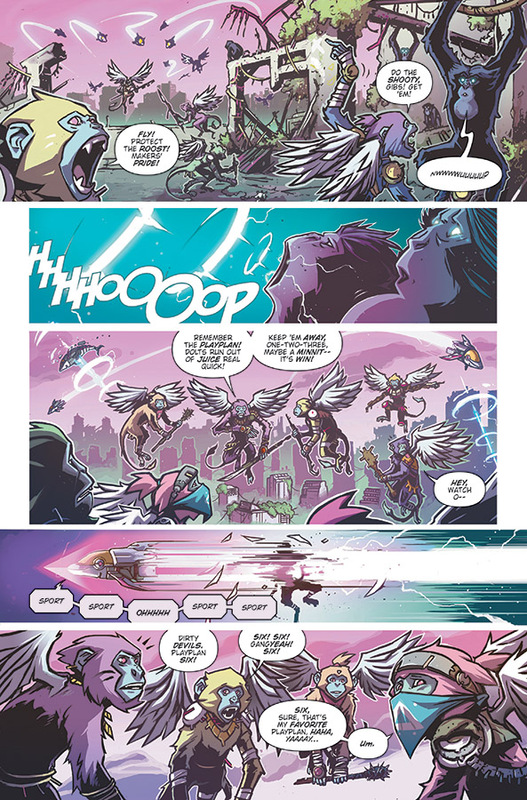 Image has since gone on to become one of the largest comics publishers in the United States. Image currently has five partners: Robert Kirkman, Erik Larsen, Todd McFarlane, Marc Silvestri and Jim Valentino. It consists of five major houses: Todd McFarlane Productions, Top Cow Productions, Shadowline Comics, Skybound Entertainment, and Image Central. 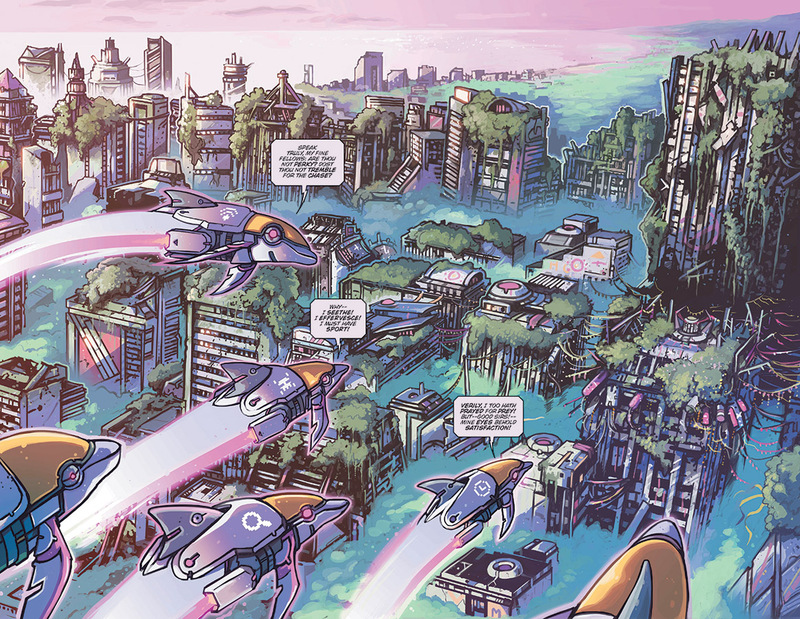 Image publishes comics and graphic novels in nearly every genre, sub-genre, and style imaginable. 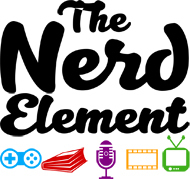 It offers science fiction, fantasy, romance, horror, crime fiction, historical fiction, humor and more by the finest artists and writers working in the medium today. 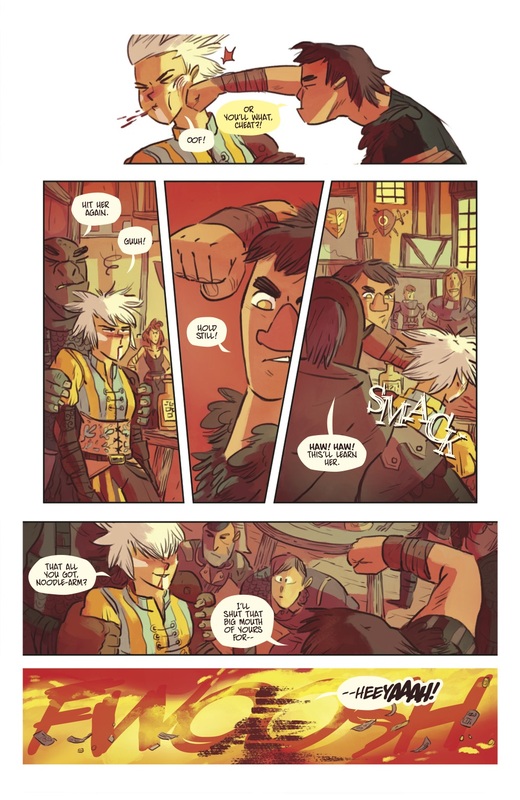 For more information, visitwww.imagecomics.com.